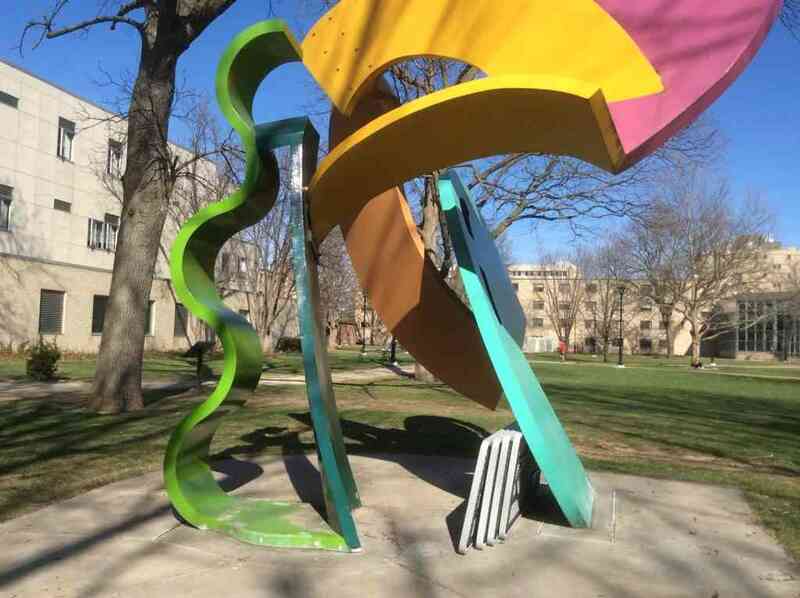 Colorful sculpture on the quad adds to the artsy feel of this campus. With about 5,000 students, Bradley is a mid-sized comprehensive university. The school’s three pillars – academic excellence, experiential learning, leadership development – are evident everywhere on this campus. The overall student-to-faculty ratio is 12:1 and the average class size is 21; there are no teaching assistants. Bradley has over a hundred academic programs in its five colleges: Business, Communication/Fine Arts, Education/Health Sciences, Engineering/Technology and Liberal Arts & Sciences. Interesting academic programs include entrepreneurship, game design/technology, hospitality leadership, professional selling, social media marketing, software/computer security, sports communication and accounting with an internal auditing concentration. The academic exploration program is for students who are undecided on their major; each year about 130 students enter this program, where they take planning and skills seminars, participate in a job shadowing program, and have advisors work with them on interest and skills assessments. The Hollywood Semester program allows students from any major to spend a semester taking classes and interning in the entertainment industry. This is great for business majors as well as communications/arts majors. Bradley shares a facility with the University of Texas and places students in internships in sports and entertainment. Bradley also has a relationship with NBC which allows interns to be on-site at the Olympics – one of my tour guides spent two weeks in Sochi! 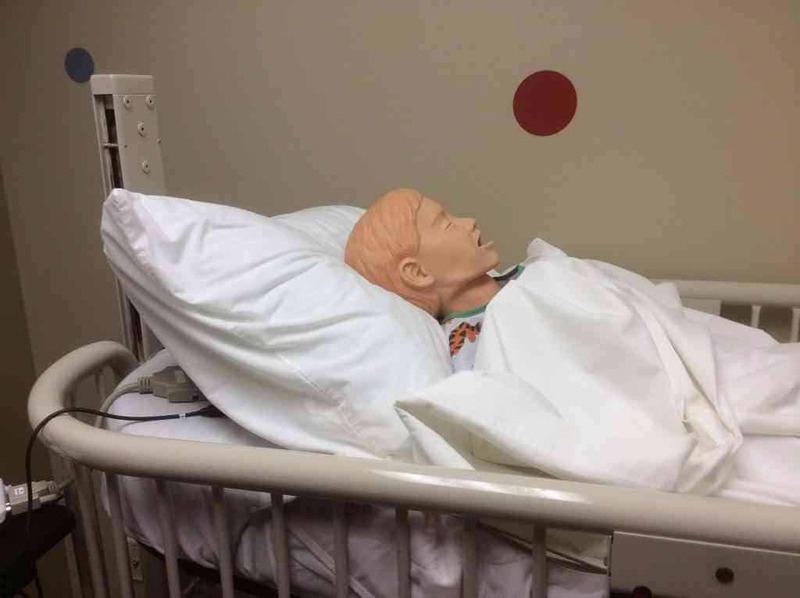 But don’t let the arts fool you – engineering, nursing and the sciences are strong at Bradley as well. SCHOOL SPIRIT IS VERY HIGH HERE! Students support their Division I Bradley Braves. Chick Hearn played basketball here, and a number of stand-out sports broadcasters and athletes, including Clippers announcer Ralph Lawler, Dodgers announcer Charlie Steiner and former professional baseball player Kirby Puckett, are proud Bradley alumni. The arts play an important role at Bradley and you don’t have to be a music or theatre major to be involved in the ensembles or shows. Bradley’s speech team has won the national championship 41 times. This video shows one of Bradley’s a cappella groups – chemistry majors performing with music majors! Peoria is mid-way between Chicago and St. Louis – it is truly an all-American town. Home to Caterpillar’s world headquarters, Peoria also has a medical technology district with a sports medicine center, minor league sports, an international airport and NPR and PBS stations to complete the media market. The bustling Riverplex Gateway area downtown reminded me of San Francisco’s Fisherman’s Wharf. Any student looking for a real “college experience,” complete with Division I sports, fraternities and sororities, a college town, and the added bonus of smaller class sizes should look at Bradley University. Admissions stats: Mid 50% SAT Critical Reading: 510-620; Math 540-660; Writing 500-620. Apply by November 30th for priority scholarship consideration; the top scholarship is about $12k per year. Demonstrated interest helps at Bradley and overnight visits are strongly encouraged. You can see all of my photos from my visit to Bradley here.